Zen, have no clear definition so far. It is a school of Mahāyāna Buddhism. 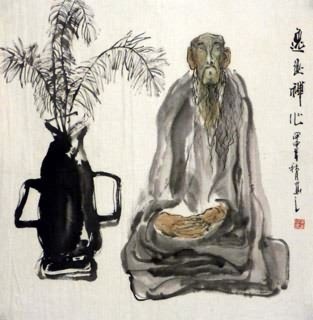 The word Zen is from the Japanese pronunciation of the Chinese word Chán (禪), which in turn is derived from the Sanskrit word dhyāna, which can be approximately translated as "meditation" or "meditative state". 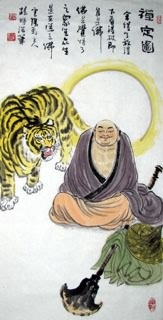 Zen pointed directly to the human mind to enable people to see their real nature and become buddhas. It is a kind of attitude to life, a philosophy and a kind wisdom. 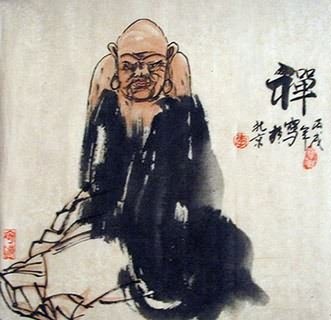 Zen Buddhism painting is the unique and specific art in our Chinese Zen Buddhism fields. 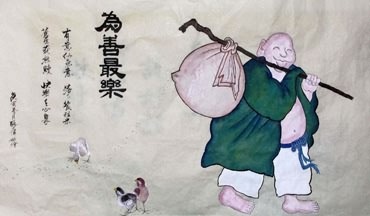 The meditators use their pens and inks depicting this Zen painting for expressing their understanding and feeling of Zen. 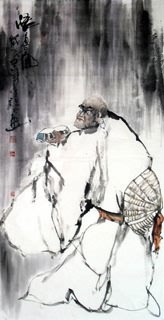 They ushered in a new era of Chinese artworks from Tang and Song Dynasty. The mediators try to draw the sound of their hearts out through the pens and inks. 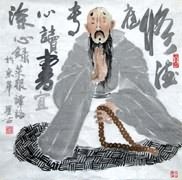 In brief, Zen painting is a painting that the mediators convey their cognition of Zen by use pens and inks. 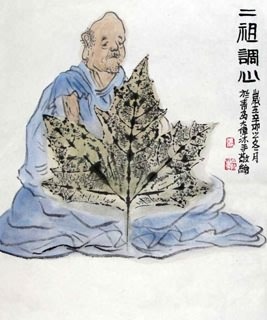 Later, this kind of painting affected the creation of literators and ink painting, which have a great and profound influnce on Chinese painting artworks.